There will only be 2500 of these, so the Sirin is a rarity and a luxury item. And it’s cheery and colorful, as was the recent Grandmother synth. But the idea is interesting. 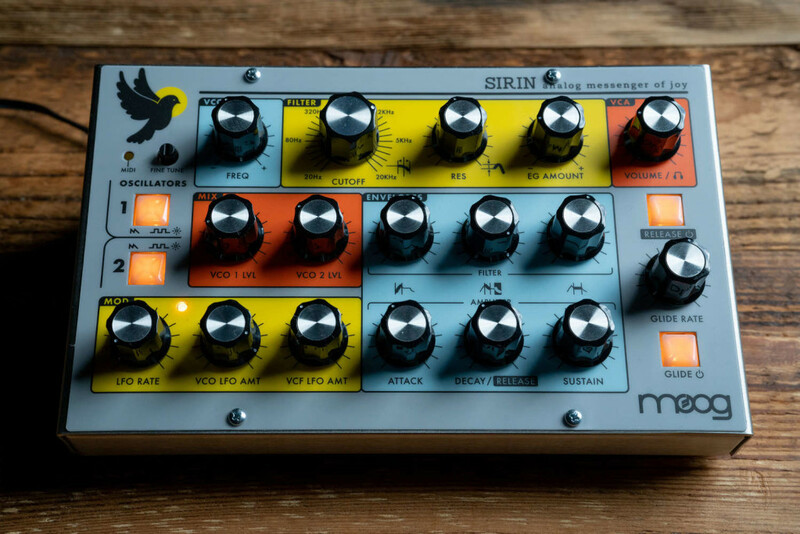 Sirin starts with two Taurus bass oscillators – arguably one of the better Moog instruments, Taurus – and then modified those oscillators so you can play both the characteristic bass and higher-pitched sounds. Insert various mythical flying discussion here, Moog ad copy writers. But we’re talking about a new range of E0 – D8. Now more of an expectation – synths should have editors for integration with your projects on your computer and easier access to sounds. 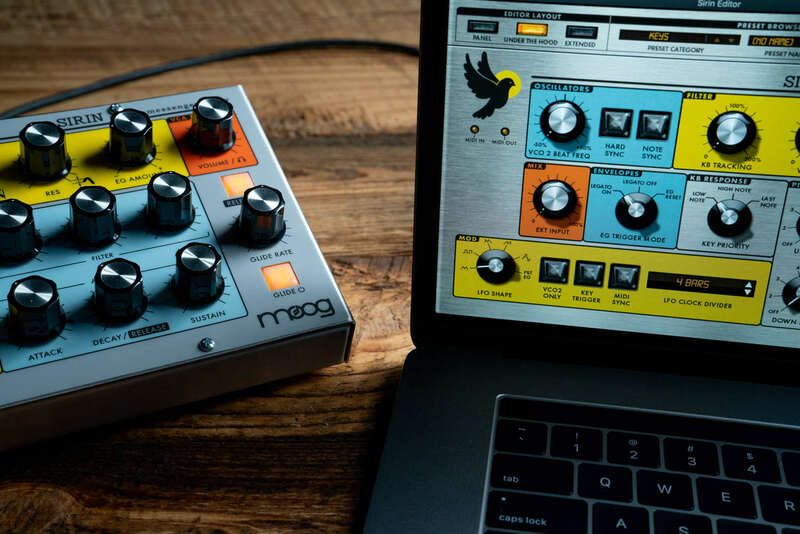 The price is steep, as you might expect from “Moog” and “limited edition” – US$599. That means you might check the Moog used market, and … it’s still tempting to get a DFAM or a Mother-32 instead; Moog have to compete with Moog here a bit. But it’s a unique idea, and this is for someone wanting a special splurge anyway. It’ll be part of the pop-up Moog House of Electronicus Pop-up (not a typo, there’s a whole back story about “an experimental gathering that took place on the barrier island of Tierre Verde during the 1970s” – and there’s an actual history there). That’s in LA this week during NAMM.